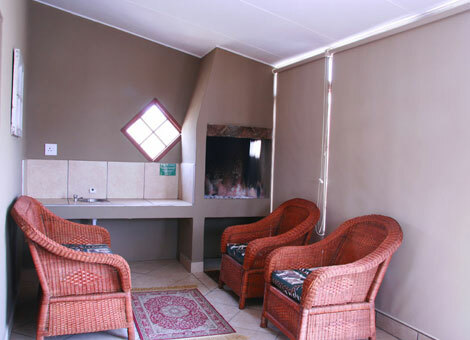 The lodge consists of 15 en-suite rooms, each with their own veranda with a built-in braai. 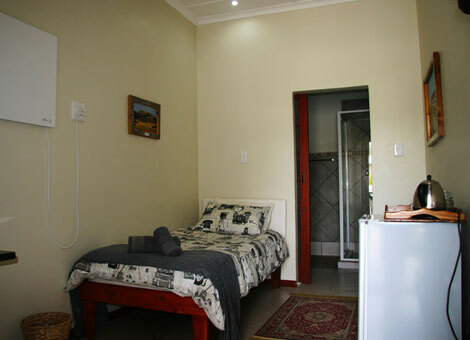 We have 2 Single Units each equipped with 1 ¾ bed and it’s own veranda with a built-in braai. The unit is also equipped with a fridge, hair dryer and tea/coffee facilities. Lights and plugs run by Solar Power and the geyser is fueled by gas. 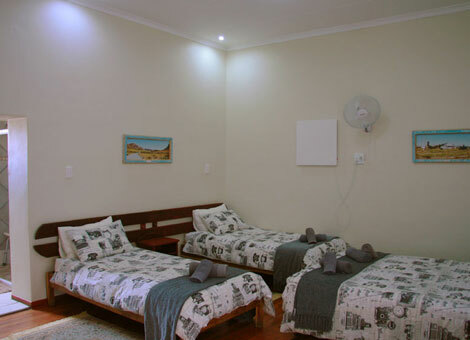 We have 10 Twin Units each equipped with 2 ¾ beds and it’s own veranda with a built-in braai. The unit is also equipped with a fridge, hair dryer and tea/coffee facilities. Lights and plugs run by Solar Power and the geyser is fueled by gas. 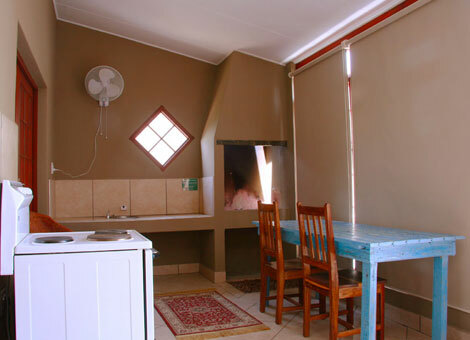 This 3 Sleeper sized unit has one double bed and 1 ¾ bed and it’s own veranda with a built-in braai. The unit is also equipped with a fridge, hair dryer and tea/coffee facilities. Lights and plugs run by Solar Power and the geyser is fueled by gas. Family sized unit with 1 doble bed and 3 ¾ beds and it’s own veranda with a built-in braai. The unit is also equipped with a fridge, hair dryer and tea/coffee facilities. Lights and plugs run by Solar Power and the geyser is fueled by gas. 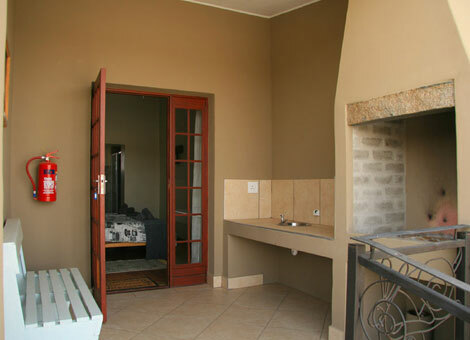 Luxury en-suite room with a king size bed and it’s own veranda with built-in braai. The unit is also equipped with a fully functional kitchen, a fridge, hair dryer and tea/coffee facilities as well as an air con. Lights and plugs run by Solar Power and the geyser is fueled by gas. Linen and towels are included and the room is serviced daily.